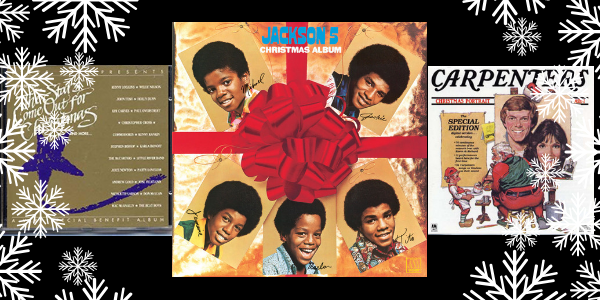 I grew up listening to three annual Christmas albums. The Carpenters’ Christmas Portrait, The Jackson 5 Christmas Album, and a free CD my parents got from Taco Bell in ‘97, The Stars Come Out for Christmas. Throw some Mormon Tabernacle Choir into the six disc CD player, press shuffle, and you’ve recreated my childhood Christmas soundtrack. This one’s fast approaching its fiftieth birthday. Released in 1970, José Feliciano’s bilingual classic is an evergreen hit and a personal favorite. It’s simple. It’s repetitive. It’s infectiously merry. And I have soft spot for trumpets. I wasn’t able to fully appreciate this jazz classic until I heard the instrumental version. Losing the children’s choir gives Guaraldi’s piano room to really shine. And while some of the feels are lost without the kiddos, this is a uniquely melancholy Christmas song. Another melancholy Christmas song. The original lyrics were so grim that Judy Garland asked for a rewrite. Even with the revision, Frank Sinatra changed the lyrics again to “jolly up” the song. Boo! This is a song for all of us muddlers. NOLA is at its most appealing when Satchmo joyfully describes the sights and sounds of Christmas time in this loving tribute to his hometown. The confident swing-y instrumentation (and my aforementioned trumpet appreciation) makes this an auto-include. Christmas heartbreak at its finest. The King croons to an ex-lover who’s having a much better Christmas than he is. Those background ooOOOooOOOh’s stick with ya. A rock and roll Christmas classic. Did you know that Chuck Berry used the melody for his song “Little Queenie” for this? Well, he did. I’m not sure why it’s not titled “Run Run Rudolph,” but who am I to argue in the face of such Christmas greatness? While their rendition of “Santa Claus is Coming to Town” may be more beloved, this odd little voyeuristic number has always stood out to me. Like, I get it stuck in my head year round. It’s not just a great Christmas song, it’s a Motown gem—dorky talking bits in the middle and all. Phil Spector may be a convicted murderer, but damn, if his A Christmas Gift to You isn’t one of the best Christmas albums ever recorded. “Baby, Please Come Home” was written with Ronnie Spector (of The Ronettes) in mind, but apparently she didn’t have the oomph needed, so the song went to Darlene Love who just knocks it out of the park and then some. Stevens’ 10(!) Christmas EPs range from intimate banjo led hymns to vocoder riddled bombasts. “Sister Winter” fits somewhere in between, a Sufjan original that stands shoulder to shoulder with his non holiday fare. What first seems to be a quiet and mournful song about seasonal depression slowly builds, layer upon layer, into a triumphant ode to friends and togetherness. I’m always surprised by how much I like this song. I mean, it’s a pretty nondescript little pop song when you get down to it—nothing too flashy—but it’s always been a favorite. Fun fact, Brenda Lee was only 13 when she recorded it. On the opposite end of the emotional spectrum, we find Stevie Wonder’s timeless version of “What Christmas Means to Me” conjuring up the platonic ideal of Christmas. A holiday full of mistletoe, carolers, snow, decked out Christmas trees, and, of course, a radiant significant other. Could it be anything else? The only original addition to Christmas standards in decades rejects our modern consumerist Christmas while at the same time perfectly encapsulating it...or something. But at the very least, Carey brings down the house in this Motown inspired, uptempo, pitch perfect piece of pop. So what’d I miss? I seriously considered Bruce Springsteen’s “Santa Claus is Coming to Town” for its enthusiasm and “Angels We Have Heard on High” for its exultant timelessness. Sound off in the comments. Dishonorable mention? 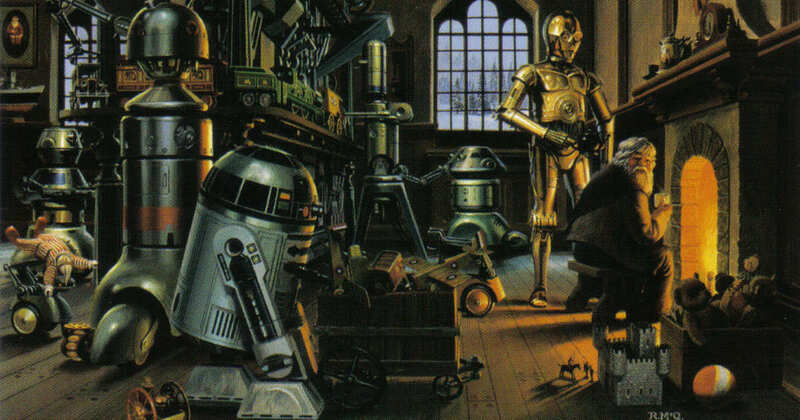 Anything from the Star Wars Christmas album Christmas in the Stars. — Ian Stepp is an Information Services Assistant at Lawrence Public Library.